Ramaphosa said the Sona debate was used by several speakers as a platform for personal attacks and vitriol. President Cyril Ramaphosa, in his response to the debate on his state of the nation address (Sona) last week, took the opportunity to set the record straight against allegations made by Congress of the People (Cope) leader Mosiuoa Lekota, that he sold out. He said he was never a spy and reminded the public gallery that even Nelson Mandela was once accused of being a spy. Lekota didn’t accuse Ramaphosa of being spy, Askari, or agent. Lekota said under interrogation, Ramaphosa didn’t own up to ideas of struggle. Instead, he said his comrades “put communist” ideas in his head. As a result, they did not charge him, but let him go, thus he sold out! 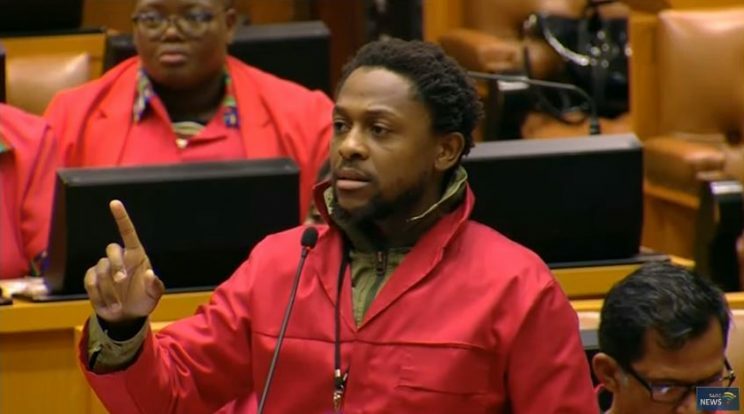 Economic Freedom Fighter spokesperson Mbuyiseni Ndlozi, however, was quick to respond to the president. He said Lekota did not accuse Ramaphosa of being a spy, Askari or agent. Lekota had only said that under interrogation, “Ramaphosa didn’t own up to ideas of struggle”. Instead, he said his comrades “put communist” ideas in his head, according to Lekota’s account, Ndlozi tweeted. This means that, his explanations aside, Ramaphosa still sold out, according to the EFF spokesperson. Lekota on Wednesday received a standing ovation from the EFF and some DA members for alleging that Ramaphosa wrote to the apartheid Special Branch in the 1970s, claiming his fellow struggle stalwarts put communist ideas in his head in a bid to escape imprisonment on Robben Island. The Cope leader even turned down an invitation to a trip the president had invited him on and said the only trip he had wanted to go on with him had taken place in the 1970s when those in the struggle were sent to Robben Island, where they were imprisoned for their beliefs. Ramaphosa, speaking on day three of the Sona debate on Thursday, said the debate was meant as an opportunity to discuss the issues, and that despite this several speakers used the platform for personal attacks, vitriol and identification. “Against the advice to respond to Honourable Lekota, I decided to set the record straight,” Ramaphosa said. He said Lekota was right to say they were detained in 1970, and added that he was a student at the University of the North. During a march against the Mankweng police station, Ramaphosa, a student leader, was arrested and taken to Pretoria Central Police Station. “My arrest was quite dramatic. Sedibe was arrested and we marched [to] the Mankweng police station. I was arrested and transported to Pretoria Central Prison where I was in solitary confinement for a solid six months. According to Ramaphosa, he was then taken to Silverton Police Station where pressure was put on his father, who was a policeman, to convince his son to give evidence. Ramaphosa said he still refused. He was released around 1976.